Mobile apps are changing the way world is accessing information. 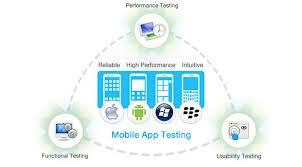 There is now a huge demand for mobile testers. This training is a step in the right direction wherein you understand mobile testing in detail, laying a stress on various types of testing and their importance. The participants will be presented with ample examples, exercises and case studies to understand and apply the concepts. This course has been designed by industry experts who have been involved in specific mobile testing for more than 7 years. Over the duration of the training you will be provided with sufficient practical sessions to help you get hands on with Mobile app testing, At the end of this training there will be an online evaluation and mock interviews. Who Needs our Mobile Apps training? Engineers (in any field/domain), interested in developing career in wireless industry. Our courses are upgraded frequently to meet the ever changing standards of the Industry.